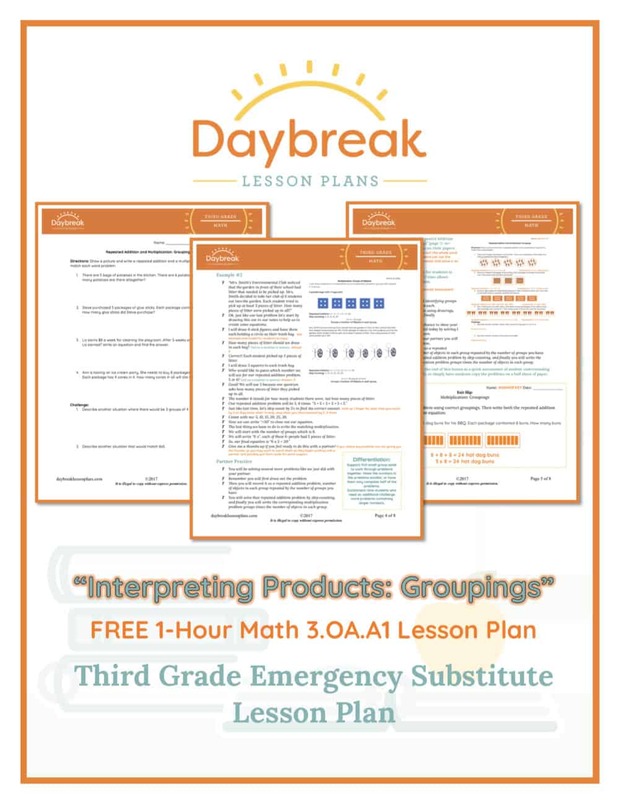 This is a 1-hour, fully scripted Third Grade Math lesson plan addressing interpreting products: using groupings, repeated addition and skip counting (3.OA.A1). This lesson is intended to be an introductory lesson on interpreting products through drawings and groupings. Students will recognize the relationship between multiplication and repeated addition. In addition to this they will show products in multiplication as a multiplication equation matching “a” number of groups with “b” number of objects in each group. The lesson begins with review and note taking for reference, then moves into partner or independent practice, and concludes with a short exit slip to check for understanding. 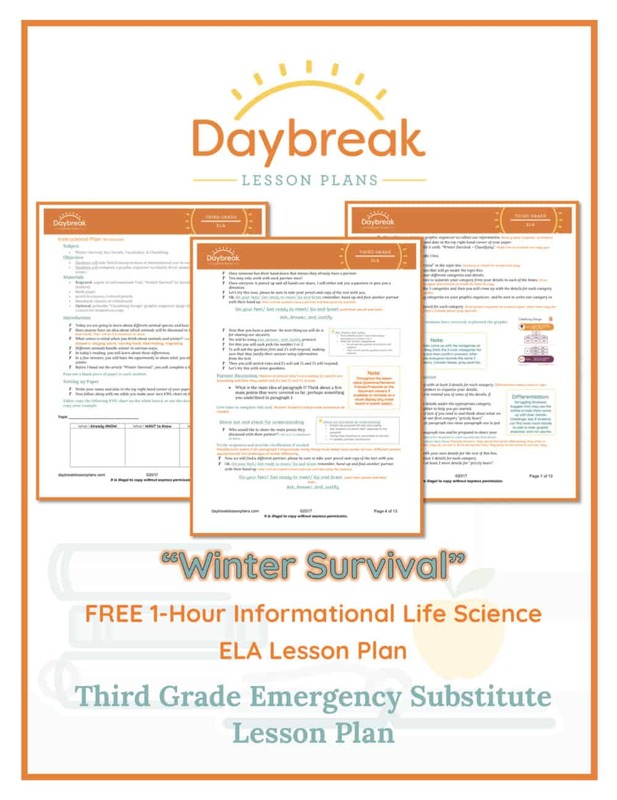 This is a 1-hour, fully scripted Third Grade ELA lesson plan using a printable Informational Life Science text, “Winter Survival,” by Jennifer Kaul. This lesson includes: close reading comprehension techniques, practicing identifying key details, determining the meaning of unknown vocabulary, and classifying information (RI.3.1-3.4). Students will take literal interpretation of informational text to evaluation and synthesizing. They will also complete a graphic organizer to classify three animal species and how they survive winter.